For several years now, there have been heated discussions on the Internet about Forex trading advisors. Only the lazy will not read about what it is and what advantages they carry in themselves. Should I trust my finances to any computer program? Now there are thousands of trade advisors that are created for the 4 MetaTrader working terminal, as well as third-party resources that were created exclusively for the web version. Some of them are free, others have an expensive price. And if few people want to pay, especially if you are an inexperienced newcomer, then about free people, many people shrug their shoulders and remember the popular saying about cheese in a mousetrap. At the end of the article I will tell you more about one free, but high-quality and profitable Forex advisor, which I tested on myself and was very pleased! I still use it myself and advise you. In the meantime, I propose to quickly run through the theory and understand what advisors are, their main features and advantages, as well as their main difference from robots. This is an assistant, which is based on the algorithm by which it analyzes the market and issues signals for making deals. Well, after that the trader independently decides whether to follow him or not. That's why he is an adviser - he just advises, but does not make deals on his own. Such a trading assistant can analyze the market by indicators (even if it is 20 at the same time, depending on what was originally incorporated into its algorithm), the appearance on the chart of certain candlestick patterns, figures of graphical analysis, the construction of support and resistance lines. In general, he can do everything from technical analysis! The main thing is to make its algorithm correctly. Some programs can even make deals instead of a trader, if again this is indicated in the settings. But they have one major drawback - they can not take into account the fundamental analysis, can not identify the impact of news or events on the price. This must be done by the trader independently. Most modern trading advisors are really able to trade independently after the first basic setup. The trader can only turn it on / off and display periodically profit. Some even independently calculate protective stop loss and take profit orders. This is by the way a very useful feature, since beginners always expose them at random, and in fact their future success largely depends on this! Are Forex advisors able to trade profitably? Of course yes! But not all. If you turned to a professional company that has specialized in creating such programs for many years and has an impeccable reputation and reviews, then you can really get a quality product. But you have to pay a lot of money for it. In addition, you need to correctly configure the program in accordance with all the provisions in the instructions. It is not enough just to pay money for it. It is also necessary to learn how to use. Beginners, to begin with, do not know how to use the MT4 terminal at all. It is not enough to turn on the robot and wait for it to work while you are lazily lying on the couch watching your favorite TV show. You need to clearly know what time of the day to turn it on, when to turn it off, for which currency pairs to trade, and so on. Each asset has its own characteristics. For example, at night it is useless to trade the euro, the dollar, the pound. But the Japanese yen will be just right. You need to constantly be aware of news and events. In order to react in time to the occurrence of such and turn off the program, while the high chaotic volatility in the market has "eaten" all your deposit. At least just in the morning to look through the Economic calendar, write out the most important news for yourself in time and turn off the program half an hour before and after their occurrence. Forex trading advisors allow you to free up a lot of time for a trader to learn and search for additional opportunities for transactions. They assume some responsibilities for market analysis. But they will not be able to do all the work for you. This is a whole industry that has developed into many areas and is actively developing thanks to the participation of the traders themselves. Now it is not a problem to create your own assistant yourself! There are thousands of automated programs for market analysis. For convenience and the search for the desired, they were divided into categories. These are the most simple, but popular and common advisors, which are used by absolutely everyone. Experienced pros, above all, advise you to learn how to identify the main trend, the trend. And after opening the transaction only in his direction. Trend is your friend! That sounds like the golden rule of Forex. Newbies use them because of their simplicity, but experienced pros do so because of their high profitability. If you determine the emergence of the trend at a very early stage, then you can literally hit the jackpot, especially if the trend is strong and long-term. Such an adviser determines the trend itself, and can also identify specific entry points during corrections against the trend. But its main disadvantage is that it is not able to show positive results during lateral flat or with a sharp change in the trend to the opposite. And from this no one is insured in Forex. This betting system has come to the world of trading from the world of gambling and online casinos. She successfully settled down in the new sphere and became popular among traders who prefer an aggressive trading style. From a theoretical point of view, this approach is profitable by 100%. Then why is it that the Martingale principle becomes the first reason for draining deposits from beginners? It's all about the wrong use. First of all, it is necessary to have sufficiently large capital in the account, which would provide for at least 10 doubling stages. It is very difficult from a psychological point of view, when you started with 100 rubles, and as a result you invest 10 000. At this stage, many people break down and refuse to go on. But the adviser is alien to the emotions. He will not make a mistake and will clearly calculate the rates within the framework of the algorithm embedded in him. Also popular programs that allow you to earn big money in the short term. Such a strategy involves the opening of a large number of short-term transactions. Profit will be only a few points. But the final earnings depend on the quantity, not on the quality. Because of the human factor, it is difficult for a trader to keep up with so many open trades at the same time. And so the computer program is indispensable here! It can open and control a large number of transactions around the clock without interruption. Progress and modern technologies do not stand still. 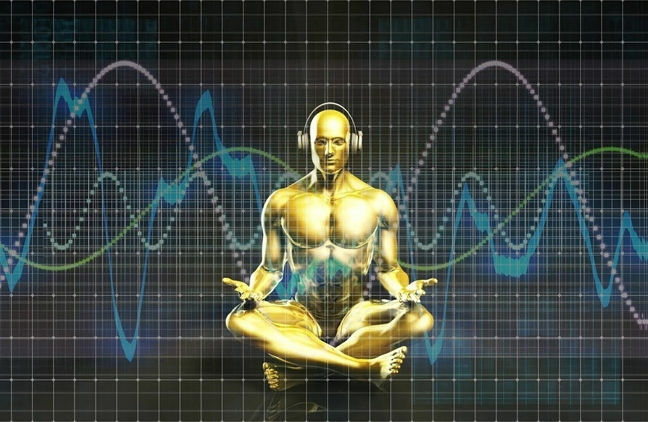 If earlier skeptics accused robots of not being able to think like a human and have trader's intuition and flair, then modern programs are becoming more and more human-like. They learn to analyze and think as well, to assess the situation. Neural Forex advisors are able to evaluate the history of quotes for a particular asset in the long term. They celebrate when profitable deals were made, and when they were unprofitable. They assess situations, identify the causes of failures in order to avoid them in the future. But still they are not perfect yet. Yes, and beginners are unlikely to cope with their complex configuration and optimization. If you set it up incorrectly, then they will not correctly assess the situation, perceive the losses properly, which will lead to an early discharge of your deposit. The basis of such trading programs is the principle of simultaneous opening of transactions in both directions. They do not assess the market situation, do not reveal entry points to the market, and so on. Having opened two simultaneous deals in both directions, after a while, when the price passes a certain number of points in one direction, a third deal opens in that direction. In general, a good approach, but also not without its flaws. They are based solely on technical analysis indicators. They include Moving Average, MACD, Stochastic, Bollinger, RSI and many other painfully familiar tools for determining trends and turning points and corrections. Such programs perfectly show themselves during certain trends, but often make mistakes during a trend reversal and horizontal flat. And if we take into account that in the trend state the price stays only 20-30% of its time, then such Forex advisors should be diluted with flat and indicator-free. Many experienced pros do not trust indicators of technical analysis, as they occasionally sin with a delay. Not surprising, because they analyze the market for history, and can not always quickly respond to sudden changes in the market. Therefore, pros often use candlestick and graphical analysis; they trade only along support and resistance lines. And the moment of entry into the market is determined by the same reversal candlestick patterns. Most programs are based on the same methodology, but there are some that combine several. It would seem that the more algorithms, the fewer false signals will be. But here, too, one must be careful, as the quality of the supplied signals may suffer. I recommend simply to acquire several narrow-profile advisors and run them to work simultaneously. They will perfectly complement each other and filter false signals. Since their number totals thousands, then there was a difficulty in choosing. Only a small fraction of this diversity will satisfy your profit preferences. And not everyone is able even to break even, because they are either already outdated or contain errors in their program code. For this reason, it has become imperative to pre-test the robot on the history of quotations. In the network, you can stumble upon scammers who, under the guise of a super-profitable adviser, issue a regular free one for download, downloaded from a public portal. Go to the tab Service - Settings - Archive of quotes. The default setting for 65 is thousands of bars. You put the maximum allowable quotes history at the broker. To do this, just put as many zeros as possible after the first digits. After here you need to load the entire history into the terminal. To do this, select the currency pair we need and click the Download button for each timeframe. Reboot the terminal. Now go to Strategy Tester, choose type - Advisor. Here you can test any indicator. From the drop-down list, select the advisor we need. If not, then you need to load it into the terminal itself. From the list, choose the currency pair for which the quotes for all timeframes have already been downloaded. If not, download and repeat the first two items. Select the type "All ticks", this will increase the quality of testing to the maximum. The testing period is a segment of history during which the trading program will be tested. I advise you to set the maximum level of the spread, as this indicator can greatly affect the final test results. Input parameters. These are already more advanced settings, which are no less important than all the previous points. If you are testing an expert for the first time, then use the data from the file with the * set extension. After that change the parameters and be sure to write down the changes for yourself and what the results are. 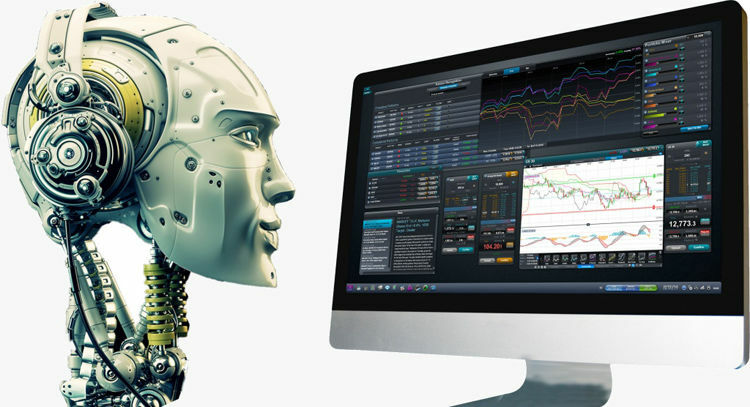 If you do everything as described above, you will receive a detailed and high-quality test of a trading robot. Select in advance for yourself the appropriate levels of setting, stop loss and take profit. Since when they change, the results can be very different, which will give the wrong picture. Forex advisors are irreplaceable assistants, but without their constant control, you can lose your entire deposit. Well, now we will proceed directly to what I said at the beginning of the article - the program Abiwhich is a more perfect and refined version of all advisors that were previously created exclusively for the MT4 terminal. and most of them will be paid: the higher the quality, the greater the cost for such a product. In general, the new era of automatic and semi-automated trading has come along with the Abi program. Well, what is it, I'll tell you in detail. Abi is completely free, does not require any installation and additional optimization. All work is done in the web terminal. This gives a lot of new features! For example, you are no longer tied to your laptop, and you can follow the work of the program even from the screen of your smartphone! If everything is clear with the first one, then I would like to talk more about the second, since our topic with you today is devoted specifically to advisers, and not robots for automatic earnings. Abi combined in itself both a robot and an adviser. Turn on Auto Trading mode, and the program will not only analyze the market and issue signals, but also make deals based on the settings that you specify in the Personal Area. There is a demo account here, so you can test the work of the robot at any time and see for yourself how highly efficient it is. No risk for loss of funds. This is how the work area in the Personal Cabinet looks like, which is accessed immediately after registration. It is completely free. The first thing you do is register on the Abi website, then choose a broker from the list and open an account with him. Even if you already had an account opened before, you need to do it again for synchronization and subsequent Auto Trading. On the Trade tab, you can enter into transactions by clicking on one of the two buttons - Buy or Sell. 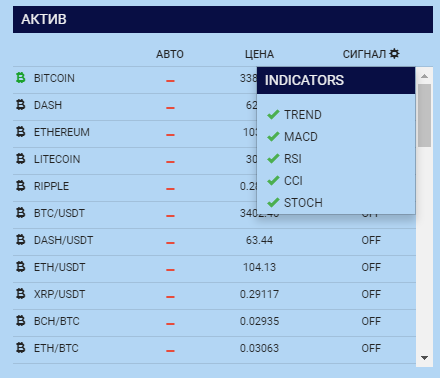 From the list, select the desired trading asset (in addition to cryptocurrency, there is also a wide selection of currency pairs. There are 7 timeframe modes from 1 minutes to 1 days. The right panel shows the signals that are generated based on the technical indicators you selected. Conveniently, here are the signals for all trading assets that are available in the terminal. But note that not all of them will be at your chosen broker. Therefore, I recommend in advance to double-check their availability. You can enter into transactions both in the Personal Account of the Abi program and in the broker’s platform. Nothing in our world is perfect, the same applies to trading robots. You pay at least a million, still no one can yet create such a perfect program that would bring you 100% profitable deals. This applies to both advisers for the MT4 terminal and the Abi program. since the main work falls on the shoulders of the robot, you have plenty of free time, which you can devote to your family and friends. any program needs some work, and if the adviser showed positive results a couple of years ago, it’s not a fact that in 5 there will be years. Therefore, it is recommended to know the programming language in order to periodically adjust the program to the current state of the market. What I want to say in favor of the robot Abi - it does not require knowledge of software when! The developers themselves do it and modify the program of the features of the market situation. This is an absolute advantage, against the background of which all other similar programs for automatic earnings are losing much! Let's sum up. Forex Advisors are indispensable assistants for both novice traders and experienced pros. They are able to independently analyze the market and issue signals for opening deals. He does not know emotions, always acts strictly according to his algorithm and strategy. According to statistics, most of the mistakes are made precisely because of inattention, human factors, fatigue, emotions, greed, fear of losing money, excitement, and so on. The robot completely eliminates this! But there are some drawbacks here too. It does not take into account the fundamental news. Does not have intuition, because sometimes it helps to avoid catastrophe and drain money. A trader's intuition appears only after years of experience, as in any other profession! Therefore, you need to use such advisors wisely! What are free robots for Forex trading?